For the February Member of the Month, I wanted to recognize a person who, in addition to contributing knowledge to members, is actively involved in improving the new SAP Community. That person is Joachim Rees. Joachim has been with the community for a decade, and throughout the years, he has written more than his fair share of blog posts and has done his part answering questions. 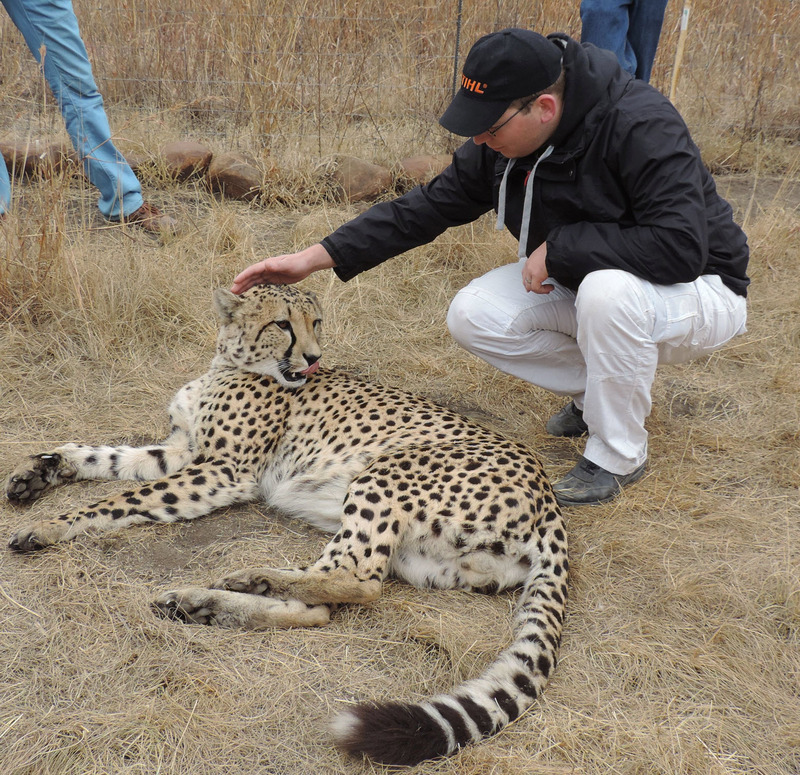 Since the transition from SCN to SAP Community, however, Joachim has really distinguished himself. In Idea Place, he has offered many great suggestions for improving the community. He has added his own thoughts to the ideas of others. And in SAP Community itself, he has dedicated his time to reporting bugs, sharing opinions, and providing constructive criticism. In short, as we continue this journey to improve the new community platform, I know Joachim will be both a vocal supporter and critic. Which is exactly the type of person whom my colleagues and I need. First off, Joachim, thanks for all of your involvement within the community — and congratulations on being the Member of the Month for February. I’d like to start off by getting to know a bit more about your career. Where do you work and what do you do? I work for FIS, a not-so-small — we have about 600 employees — SAP Gold Partner in Bavaria, Germany. I started off as a developer doing project work, then I became a consultant for warehouse management — more project work! With the start of 2016, I switched positions again to do AddOn development. We do have a big, SAP-certified ERP AddOn, which we are now porting to S/4HANA. I think that’s a great task, as it takes me right into the future, where exciting things happen! 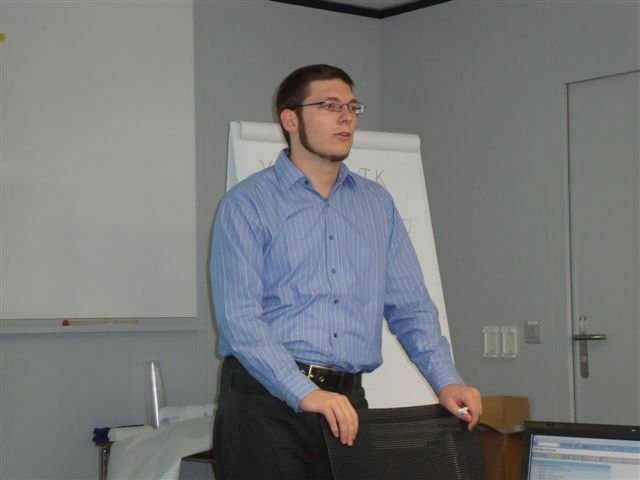 Joachim hosting a Warehouse Management workshop for a customer in Switzerland. You’ve been with the community for roughly 10 years. Why did you decide to join? Well, my profile says “Member since December 6, 2007” but I was not actively using the community for some years. I joined SDN — as it was called in those days — because that’s what you do when you’re a new developer, diving into ABAP and the SAP world. To be honest, I don’t know if I took much out of it back then, though. I know I asked two question at some early time, but they never got any answer, so with the move from SCN to SAP Community, they are now gone for good — because questions without answers were not migrated. Awkward. So what brought you back then? I restarted actively using SCN when S/4HANA came around. It came across as the next big thing, and it really seemed exciting. I had studied the simplification list, and when I got my hands on an actual S/4HANA 1511 FPS0 system, I went exploring. At that point I had the idea of sharing my findings with others, and that was when I started blogging. So you’re focusing on S/4HANA these days? Yes, S/4HANA is very important for us, and we realized this very early, before it was even available. We invested heavily in learning about it and still do work on getting S/4HANA AddOns into the market. I’m glad to have the opportunity to be part of it! Looking at your profile, I see that you seem equally involved in writing blog posts, answering questions, and asking questions. But a moment ago, you mentioned blogging specifically. Is that the activity in the community that you prefer? I think I do like blogging the most, as I think it has the greatest effect, not only for my readers, but for me as well. You know how the saying goes: If you can teach about something, you have truly understood it. Writing a blog helps me focus on what I know, what I want to say, and maybe also what I don’t know yet. Also I can refer back to my own blogs if I come across a similar situation in the future. Based on your contributions since the transition from SCN, I almost want to guess that you use your spare time combing SAP Community and coming up with better solutions for the platform. But I’m sure you don’t spend every waking hour working — or in SAP Community. So is there anything you like to do in your spare time? Any hobbies or activities that you love? I’m a father of two. My boy is over 2 years old. My little daughter is 4 months now. So you can be sure I like to spend time with my family, and seeing our kids grow up. I don’t really have hobbies, like stamp collection or something, but I do have a broad set of interests. I’m concerned about the future of our planet as well as that of our species. Lots of things go wrong today, but of course there are also positive ideas and examples worth working towards, such as platform cooperativism, the economy of the common good, people (not big companies) coming together to create renewable energies, and the universal basic income…just to name a few. 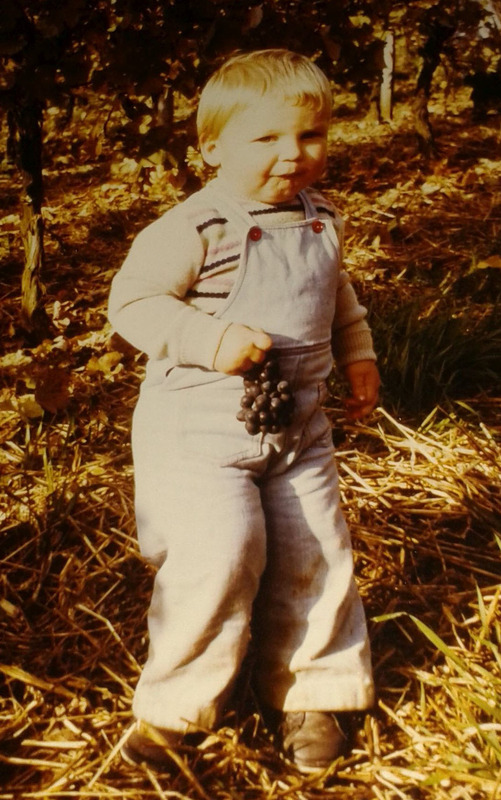 grapes at his grandparents’ vineyard. Interesting. That makes me wonder…do you see any parallels between a sense of community within SAP Community and a greater global community? Meaning do you see similarities between how SAP Community members interact and how perhaps all people might come together in a broader community for a greater good? Yes, there sure are parallels, as communities are always people coming together. They have something in common, but there is also diversity. And I think people can best be motivated via personal connections. If a friend of yours tells you that you can easily switch your supplier of electric energy to one that produces and sells only green electricity — Ökostrom in German — you might very well get active, especially if she did it already and offers to help you. Transfer to the SAP Community: If you meet someone doing or knowing something interesting — for example, giving a talk or explaining a concept — ask her to rejoin SAP Community and write a blog about it. Again, offer your help and experience in handling the platform. You have some interesting ideas about improving the planet. You also have plenty of ideas about improving the community. In fact, you have been very active in Idea Place. Out of all the ideas there, is there one in particular you want people to vote for? If so, why? I think that would be the one that has a lot of views — 53 as of now: Replace Activities and Notifications using a Fiori/SAPUI5 based Master – Detail structure proposed by Michael Appleby. 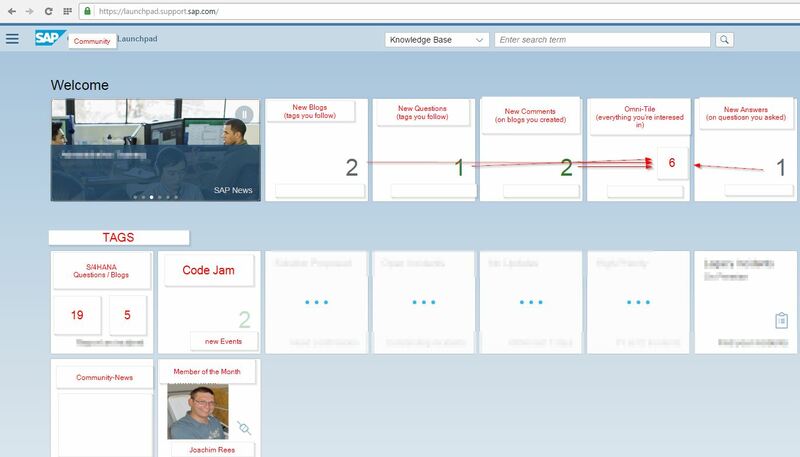 I think UI5/Fiori/Launchpad is a great technology SAP provides, so go ahead and make use of it in your own community and demonstrate SAP runs SAP. Also, since I brought up Mike, @mentions would come in handy here. Touché. If it helps — @mentions is a priority feature for development. Speaking of missing features…despite any problems with the current SAP Community, could you tell me what value you find here? Friendships? Forums for sharing information? Some combination? Or am I not even close? Friendship would be too big a word at this point in time, but I know there are others that found real friends here! For me, it is place of professional exchange, but it’s also fun and entertaining in some ways. It is a great resource of knowledge, and of course it also gives me a chance to share the knowledge I have. By putting my opinions and views out there, I give others the chance to point out where I might be wrong and I learn and benefit from that. Even when the community is quiet, I know there are members still out there. They may be lurkers though. If you could give the shyer members any advice, how would you suggest that they get more involved in SAP Community? You can start interacting by clicking “like” on a blog or a comment, or upvoting a question you are also interested in. Also, follow people you find writing about things of your interest. Of course, follow the tags of your interest as well — if you manage to find them! Ouch. Well as I said at the beginning, you’re always honest with your opinions, and I expected nothing less in this interview. Improving the tag experience is also a priority. I keep saying that, don’t I? I hope I don’t sound too defensive. Anyway, maybe to get back to the question — any other advice about getting members involved? At one point, if you have an interesting project, learned something new, or attended a nice SAP event, go ahead and write a blog about it! People can certainly learn a lot from you in SAP Community and in Idea Place. But if people want to get your insights via social media, can they follow you on Twitter or connect with you some other way? Actually, SCN was the first “social network” I ever really used and embraced. So the – maybe surprising – answer is: no! I don’t use Twitter or Facebook — at least not in the sense that I have an account on any of them — or anything along those lines. So the best way to interact with me is actually here in SAP Community – or meeting me in person at an event such as CodeJam. Or maybe join me as a colleague! We’re hiring! It’s great to hear your company is growing. And it’s great that you’re helping the SAP Community grow as well, Joachim. On behalf of the SAP Community team, I want to thank you for all of your efforts to make the community better. I hope you’ll be an important part of SAP Community for years to come. For now, congratulations on receiving Member of the Month. It’s an honor you truly deserve. By the way, for anyone who has just finished reading the interview…make sure to check out my video interview with Joachim at the top of this page. We have a quick conversation about the good and the bad of the new community. You won’t want to miss that! Congratulations Joachim! You are a tremendous asset to the community and I hope you continue to actively support it in the many things you contribute! Nice interview and great choice Jerry! Congratulations Joachim! Thanks very much for the shout-out! Your feedback makes a lot of sense and can certainly improve the experience of power users as well as casual users of this community platform. Members sharing their knowledge, being honest and supporting each other can truly create a powerful community. Thank you for doing all of this and more. @Jerry – when can the MOM announcement be moved from the home page basement to more prominent location? I only found this blog because I’ve heard from another SCN members and they heard from another, etc. It’s great that we work together to spread the word but is this the level of recognition SCN MOM deserves? I know that UX/UI team are looking at new designs for the home page. I’ll reach out to our home-page owner to see if she has anything specific to add. We are working on several updates to the homepage that (I hope) to share in the next week or so. This will address the placement of MoM updates as well. thank you very much for your kind words and feedback! By the way, you know how I (as well as others) suggested the “unified fiori launchpad frontend” – I actually mocked up a little sketch on how I imagine this could look like. (It’s no secret that it’s based on the SAP ONE Support Launchpad). Oh well, congratulation Joachim. Welcome to the MOM-club. I missed this too, until just now. Congratulations, Joachim, and wow, I’m surprised you weren’t already in this “club.” It just seems that you’ve been such an integral member of this community for quite a while. I totally agree with many of your thoughts, about both the SAP community (online) and the general community of humanity in the world. Universal basic income — now there’s a topic for many a great debate, eh? thanks for your kind and encouraging words! But now, that I looked at it again, that might just have been because it was 2 days before Christmas!